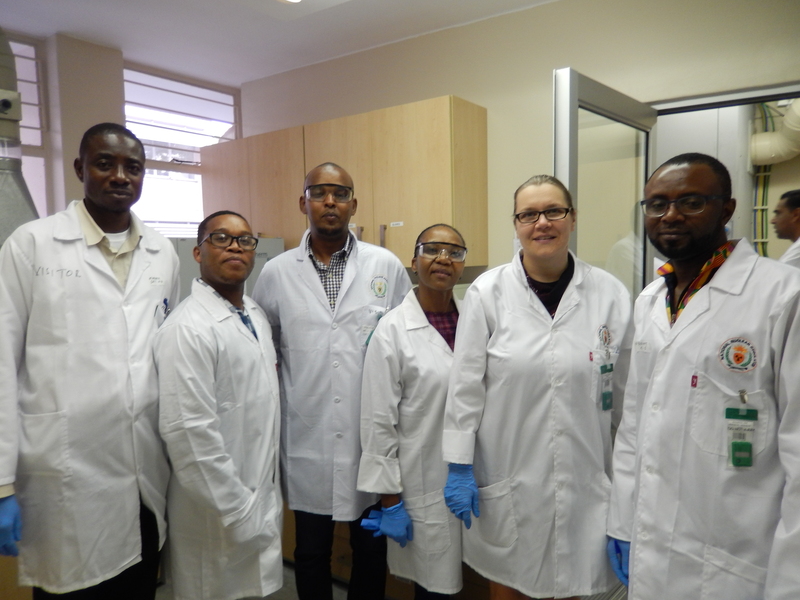 The NNR’s Centre for Nuclear Safety and Security (CNSS) hosted a Regional Training Course on the Determination of Uranium Radioisotopes in Environmental Samples by Alpha-Particle Spectrometry from 19-23 February 2018 at the NNR Laboratory in Pretoria. The attendees were from 13 African member states. The Course Director Dr. Margret Mkhosi welcomed the regional participants to the NNR Laboratory at the ARC-Institute for Soil, Climate and Water (ARC-ISCW) facilities in Pretoria. 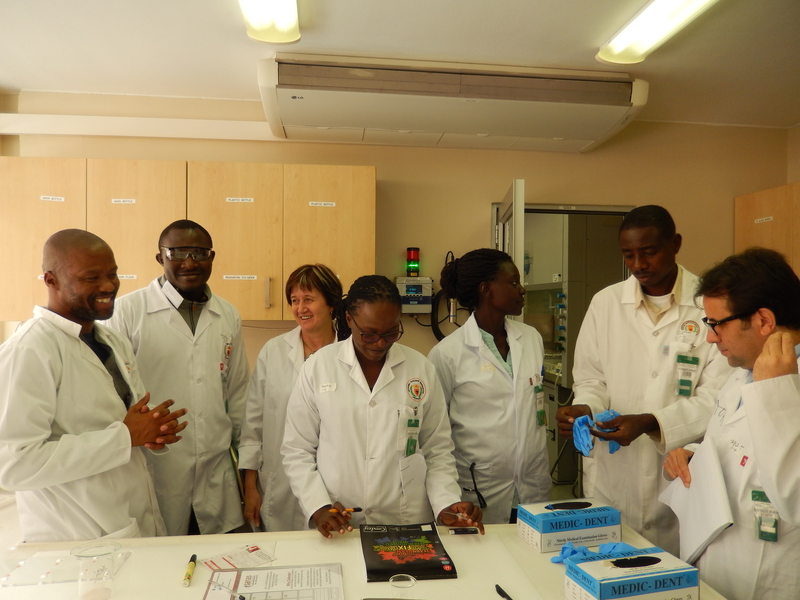 The training was held over a week and comprised of 14 indoor lectures and a site visit to the NECSA laboratory.Participants were exposed to a wide range of methods for preparing samples for Alpha-Particle Spectrometry. The participants welcomed the interactive and practical nature of the onsite training course and commended the NNR for hosting this training course for the region. 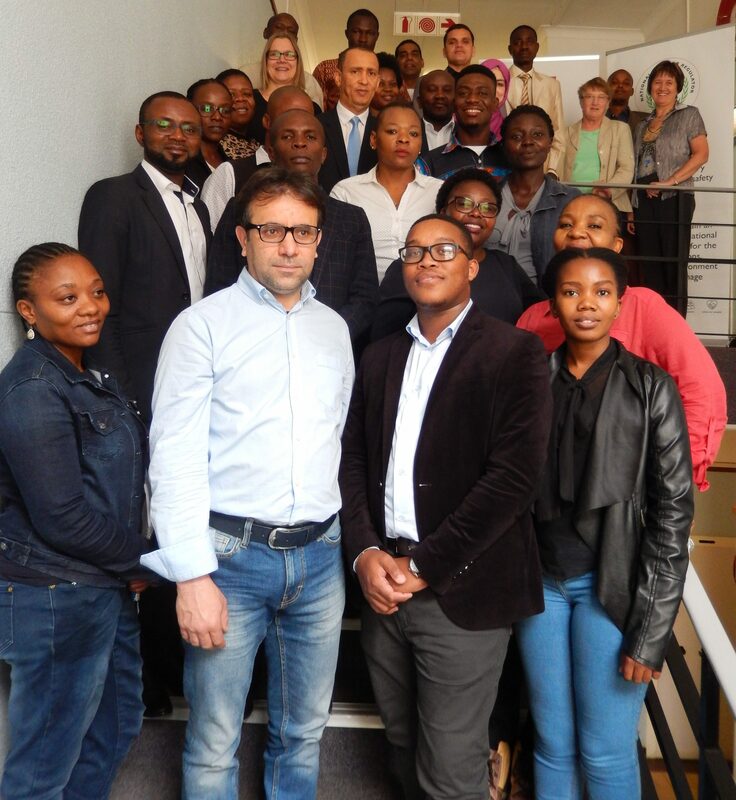 The attendees of the Training Course were; Mr Tarek Azli, Mr Djamel Taieb Errahmani (Algeria), Mr Inácio Chicola Mário (Angola), Mr Thapelo Nthokana (Botswana), Mr Christian Bangou (Burkina Faso), Mr Henri Joel Nzouatcha (Cameroon), Mr Hisseine Issa Ramat (Chad), Mr. Athanase Ngeleka Lungenyi (Democratic Republic of the Congo), Mr. Moussa Mahdi Ahmed (Djibouti), Ms. Eman Awwad Youssuf Youssuuf (Egypt), Mr. Amissan Johnson Komba (Gabon), Mr. Maruf Abubakar (Ghana), Ms. Linet Kiteresi Imbayi, Ms Veronica Ogolla Wayayi (Kenya) and Mr. Lindani Mkhize, Ms. Queen Motaung, Ms.Nsovo Sono (South Africa).